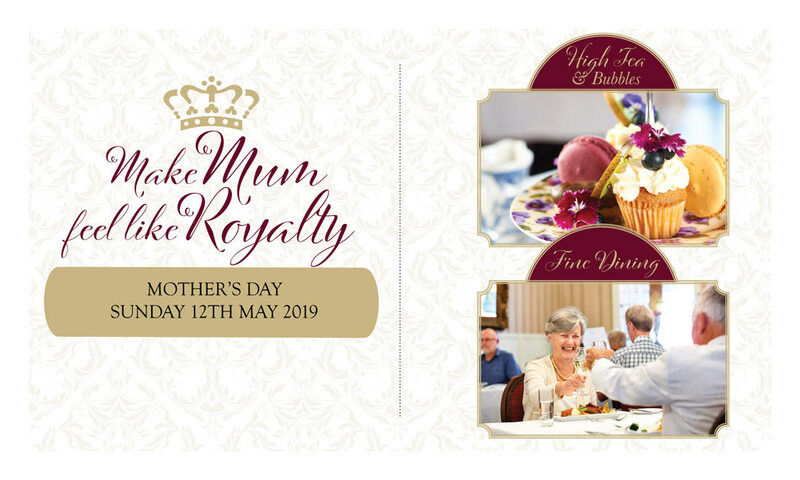 Make Mum feel like royalty! Join us at Prince’s Gate to celebrate the mother in your life! A delectable treat accompanied by beautiful background piano music and a glass of bubbles for everyone. A selection of finger sandwiches, freshly baked scones served with cream and jam, an assortment of sweet patisserie items and an extensive selection of fine Dilmah Teas and barista style coffees. Spoil mum with a scrumptious 3 course dinner with a complimentary glass of bubbles. Entree: Salmon 3 ways – croquette, smoked and rillettes. Main: Choice of lemon and thyme infused free range chicken, Grain fed pork belly or fish of the day. Dessert: Choice of creme brulee or cheesecake. Spaces are limited, book your tickets NOW. These are prepaid events and tickets must be pre-purchased. View our terms and conditions here. Choose from High Tea or Fine Dining, or both!